Swanica Ligtenberg finds a connection with Mother Nature and meaning of life through the creation of ceramic art. Her pieces radiate the warmth of earthenware colors, and express the elegance and harmony of nature through her designs, the interplay between line and form, and surface treatment. Her interests lie in low-fire techniques, what gives her a great color palette with clay, slips and glazes. - She engraves decorations in the slip sprayed on the leather-hard clay and glazes it with a clear glaze. (See Techniques). - The play with color glazes give wonderful combinations with textures in the clay and a crackled glaze. (See Techniques). 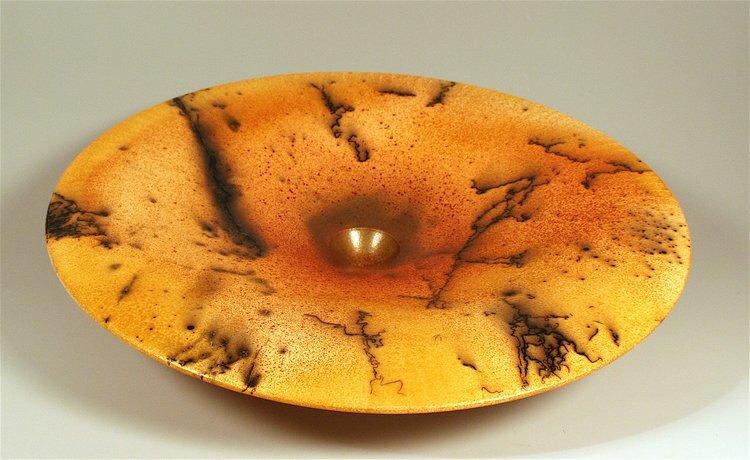 - Over the years, she explored alternative glazing, kiln and firing techniques: Horsehair-Raku, Naked-Raku, Pit, Saggar and Wood Firings. (See Techniques). 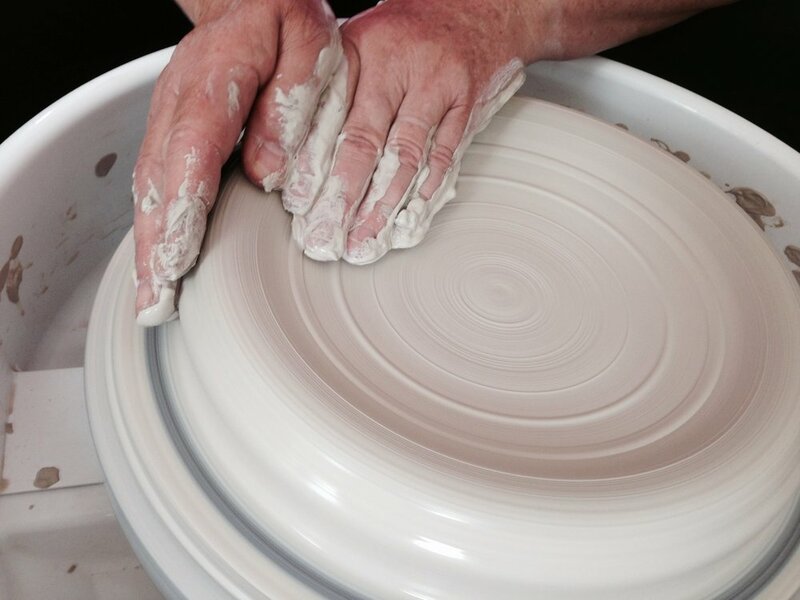 Each firing offers something special and requires a deep understanding and interactive play to develop and master a unique technique and style. Special Judges’ Award “Four Seasons” Horsehair Vase at the Mashiko International Ceramics Competition of Japan in 2006. 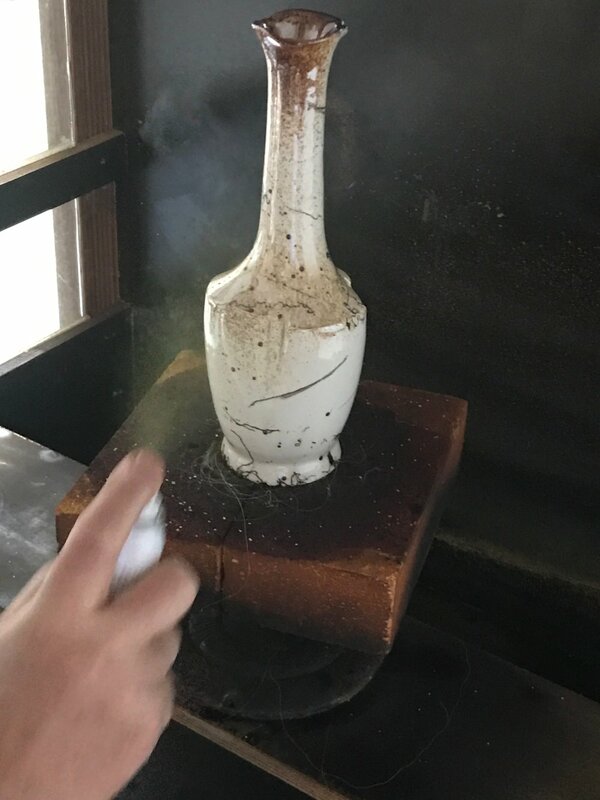 With the Horsehair-Raku technique one removes red hot pieces from the kiln and applies horsehair or other materials like sugar and feathers, which gives black carbonized lines and imprints, and fumes them with ferric chloride, which results in exquisite warm brow/orange/yellow colors. “Kamakura-Red Bamboo Teapot” in the International Contemporary Teapot Exhibition in Phoenix, NCECA conference, 2009. 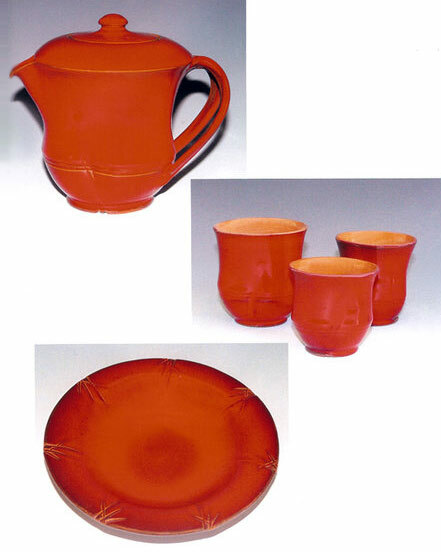 Her “Kamakura-Red" Ware is inspired by the texture and red pigment color of the Kamakura Bori Art (a form of art lacquerware developed from Buddhist carving from Kamakura, Japan). The red glaze symbolizes love, passion and strength. Living in Kamakura with its rich culture and its long heritage of wood carving allowed her to create a unique style, combining the best of the east and the west. Swanica was stimulated to re-discover the functionality of her work by being in Japan. The form of the teapot evolved from the research done to define the shape and functionality of a drinking cup. The magical number three was used to divide the surface and is repeated in the decoration. This number has lots of positive significance, especially the meaning of the three divine principles: light, heat, and life, linking it to the red color. It is selected for The 2010 International Biennial Exhibition of Contemporary Teapot Art, Shanghai, China. It is part of the permanent collection of the “Pot” Museum in Shanghai, China, 2010. It is permanently displayed in the exhibition hall for international teapots in the Yixing Ceramic Museum in China, June 2011. Most of her pieces are based on traditional forms thrown on a wheel and then altered. Her decorative designs are abstract and find a balance in her ceramics piece. In addition to her “traditional” pieces she finds innovative ways to present her wall art. Her slabs combined with other natural materials create a harmonious work of art. Her finished pieces hope to stir the curiosity and imagination, and are completed by use and the passing of time. Swanica was influenced by a long family tradition of goldsmiths, painters and musicians and historical education. She became immersed full time in the ceramic art world in 1981 at the “L’Ecole des Arts Decoratifs” in Geneva, Switzerland, where she was educated in the art of drawing, throwing, forming, decorating and glazing ceramics. Her early works include a study of Mexican figurines as well as “Delft Blue” ceramic ware. One of her early work is a beautiful dinner plate set. In all her travels she always had a ceramic workshop at her home: in Switzerland 1983 - 1984, in New Jersey USA from 1985 - 1989, in California USA from 1990 – 2014 and for seven years in Kamakura, Japan with a gallery from 2006 – 2013. In 2016 she returned to live in the Netherlands and has her new ceramic workshop and SwanCeramics Art gallery. She had her first show in Switzerland in 1983, and her first American show in New Jersey in 1987. She always taught ceramics in her workshops and has been very active in ceramic organizations: vice president of the OVCAG and chairwoman of the Gallery House and many other positions. 1955 Born in Rheden, Netherlands. 1981 – 1983 Ceramic education “Ecole des Arts Decoratifs”, Geneva, Switzerland. 2017 World Contemporary Ceramic Craft & Art Biennale in Belgium; Bottles and Vases, Sept.
2017 International Ceramic Tea Ware Expo in Belgium and Netherlands, June and Nov.
2017 ‘t Jagershuis Expositie in Ouderkerk aan de Amstel, 18 + 19 Maart. 2013 Palo Alto Clay and Glass Festival, in Palo Alto, CA, July, USA. 2013 Three Kamakura-Red Artworks in the Second Jakarta Contemporary Ceramic Biennale in the Museum Seni Rupa dan Keramik in Jakarta, Indonesia. 2010 Shanghai International Modern Teapot Biennale Exhibition, China. 2009 The Kamakura-Red Peony Vase at the Jingdezhen International Ceramic Fair, Nov., China. 2009 Koyasan Exhibition, Happymaker Group, Koyasan, Japan. 2009 International Contemporary Teapot Exhibition, Scottsdale, Arizona USA. 2009 San Diego Art Institute: 50th International Juried Awards Exhibition USA. 2008 California Clay 08 Exhibition from ACGA, Fresno, CA, USA. 2004 Olive Hyde Gallery, Fremont, CA, USA. 2004 The Artery in Davis, CA, USA. 2004 + 2005 Star artist in San Jose Art Museum, CA USA. 2004 Los Gatos Art Museum, Los Gatos, CA, USA. 2003 Hakone Gardens, Saratoga, CA, USA. 1987 Monmouth festival of the Arts, New Jersey, USA. 1983 Chateau d’Echandens Expositie, Zwitzerland. 2014 Open Studio in May in Los Altos CA, USA. 2013 Yu Gallery, SwanCeramics Art Exhibition, Kamakura, Japan. 2012 Ginsuzu Gallery, “Kamakura-Red Sakura” Exhibition, Kamakura, Japan. 2010 Feature Exhibition: “Wings: Love is a bird, she needs to fly” Horsehair and Kamakura-Red Exhibition in Toko Gallery in Mashiko. 2009 Ginsuzu Gallery, “Horsehair + Kamakura Red”, Kamakura, Japan. 2007 Toko Gallery, “Horsehair” Show, Mashiko, Japan. 2004 Gallery House, Feature Show: “Build Connections”, Palo Alto, CA. 2002 Gallery House, Feature Show: “As White as Snow”, Palo Alto, CA. 2000 Gallery House, Feature Show: “Cosmic Space”, Palo Alto, CA. 1999 La Galerie Internationale, “Blue and White” exhibit, Palo Alto, CA. 1998 Gallery House, Feature Show: “Open Heart”, Palo Alto, CA. 2008- Alexander Salazar Art Gallery, San Diego, USA. 2008-2013 Yufuku Gallery, Tokyo, Japan. 2010-2013 First Light Gallery, Tokyo, Japan. 2007- 2012 Toko Gallery, Mashiko, Japan. 2006- 2010 Pez Gordo Gallery, Los Cabos San Jose, Mexico. 2006- 2012 Coupa Cosas Gallery, Palo Alto, CA, USA. 2004-2006 SOBI Gallery, Burlingame, CA, USA. 1999-2001 Elemental Art Store, Los Gatos, CA, USA. 1997-2009 Gallery House Co-op, Palo Alto, CA. 1997-1999 P.R.Coonley Art Store, Palo Alto, CA. 2014 Museum of the Ceramics Park Mino, Tajimi City, Japan. HONORABLE MENTION. 2013 Yu Gallery, SwanCeramics Art Exhibition, Kamakura Japan. 2010 Feature Exhibition: “Wings: Love is a bird, she needs to fly” Horsehair and Kamakura-Red Exhibition in the Toko Gallery in Mashiko, Japan. 2010 – 2013 Opening of “Swan Art Gallery” in Kamakura, Japan. 2008 Ceramic Art Museum in Mashiko, JUDGES' COMMENDATION AWARD. 2008 Museum of the Ceramics Park Mino, Tajimi City, HONORABLE MENTION. 2008 Serving Ware+Food Exhibition, Yufuku Gallery, Tokyo, Japan. 2007 “Box” Show in Gallery In The Blue, Utsunomiya, Japan. 2007 Feature Exhibition: “Horsehair” Show in Toko Gallery in Mashiko, Japan. 2006 + 2007 Groups Show in Mitsukoshi Store in Tokyo, Japan. 2006 Ceramic Art Museum in Mashiko, SPECIAL-JUDGES AWARD. 2013 Jakarta: “Kamakura-Red Sakura” Plate in the Museum Seni Rupa dan Keramik, Visual Art and Ceramic Museum, Indonesia. 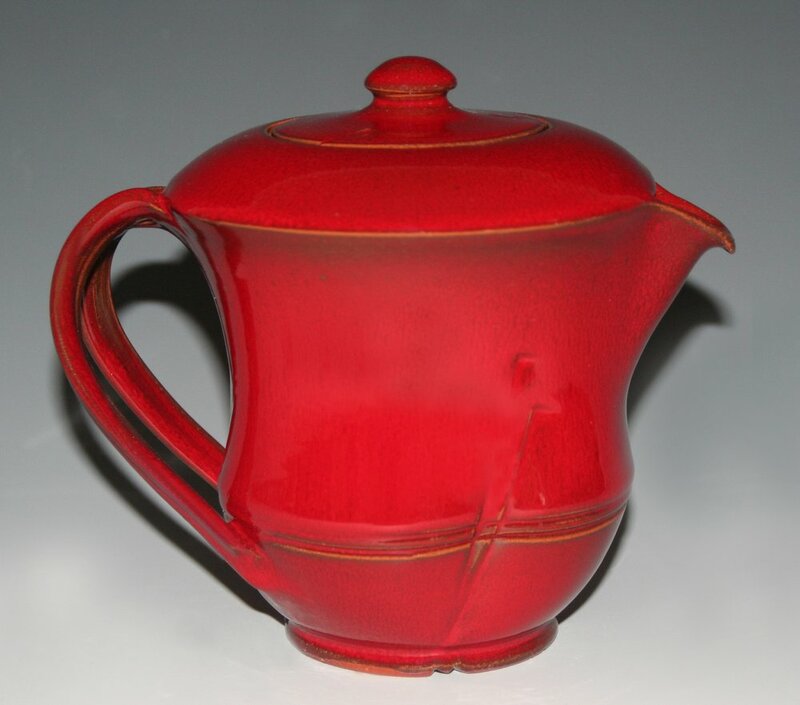 2010 China Yixing Ceramic Art Museum: Kamakura-Red “Bamboo Teapot” in International Hall of teapots. 2010 China Shanghai Pot Museum: Kamakura-Red “Bamboo Teapot”. 2009 China Jingdezhen Ceramic Art Museum: Kamakura-Red “Peony Vase”. 2017 Artist in Ledengids of "Dutch Workgroup Ceramic Artists": Nederlandse Vakgroep Keramisten. 2012 Artist in book of the Association of Clay and Glass of California: a compilation of members. 2012 Artist in the book written by Guangzhen Zhou: The Appreciation and Collection of Modern and Contemporary Ceramic Art (Chinese version). 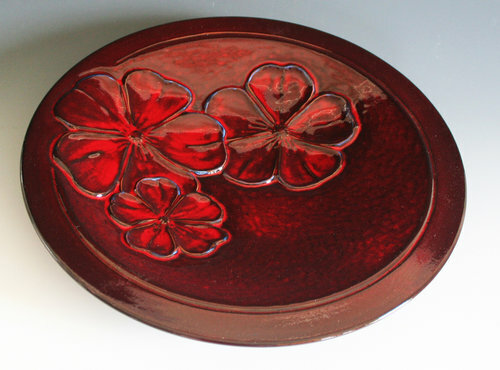 2011 Autobiographic booklet: Ceramic adventures in Japan II: “Kamakura-Red”. 2011 My 2006 Mashiko Special Judges Award “Four Seasons” Horsehair Vase is published in this 500 Raku book by Lark Crafts. 2010 Autobiographic booklet: Ceramic adventures in Japan I: “Horsehair”. 2009 In the Nagomi Japanese Magazine with my Horsehair Vessel as a “Mizusashi” for the tea ceremony. 2010 Lecture at Kamakura YMCA, Japan, May 21. 2008 NOLA Fired-Up Conference in New Orleans with firing a sculptural paper-clay kiln, USA. The “Honorable Mention” Award for the “Duo Ferric Horsehair Box set” at the 10th Mino International Ceramics Competition. Mino, Japan 2014. The “Honorable Mention” Award for the “Cosmos” Horsehair Plate at the 8th Mino International Ceramics Competition. Mino, Japan 2008. The “Commendation Award” for the “Circles of Life” Horsehair Plate at the International Ceramics Competition Mashiko, Japan 2008. The “Special Judges’ Award” for the “Four Seasons” Horsehair Vase at the International Ceramic Arts Competition. Mashiko, Japan 2006. They chose the "Circles of Life" Horsehair plate, but they put the “Arsia Caldera” in the exposition with the under-title “Circles of Life”. Mashiko, Japan 2008. The “Star Award” for the “Red River Tripod” at the Art Museum of San Jose, California with the Silicon Valley Open Studios. San Jose, California 2005. In the Museum Seni Rupa dan Keramik, Visual Art and Ceramic Museum in Jakarta, Indonesia, 2013. In collection of the Guangzhen Zhou Museum in Shanghai, China, 2012. In the Yixing Ceramic Art Museum; in their special exhibition hall for international teapots. Yixing, China, 2011. The SHANGHAI Catalogue “POT” Museum Photos. Kamkura-Red "Bamboo" Teapot, Kamakura-Red Cups, Kamakura-Red Plate. Shanghai, China, 2010. In the Jingdezhen Ceramic Museum. Jingdezhen, China, 2009. The Kamakura-Red "Bamboo" teapot accepted in the International Contemporary Teapot Exhibition with the title: “Beyond the Function”, concurrent with the NCECA conference to be held in Phoenix, April, 2009. The “Golden Lotus” Horsehair Vessel accepted by the San Diego Art Institute: Museum of the Living Artist in their 50th International Juried Awards Exhibition, May, 2009. The “California” Horsehair Plate accepted in the California Clay ‘08 exhibition with selected works from the Association of Clay and Glass Artists (ACGA) at the Fresno City College in the Art Space Gallery, 2008. The “Greek Vase” and “Red River Tripod” accepted in the juried show in the Olive Hyde Gallery organized by the OVCAGorganization in Fremont, California in 2004. 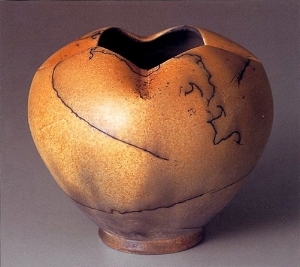 The “Amphora” accepted in the juried Exhibition of the California Clay Competition in Davis, California in May 2004. The “Connection" Basket is accepted in the San Jose Museum of Art for an auction related to the Silicon Valley Open Studios in 2005. The “Red River Tripod” and the “Yellow Tripod” accepted in the juried exhibition in the Los Gatos Art Museum in 2004. The "Open Heart" Plate is accepted in the juried show at the Hakone Gardens in Saratoga, California, organized by the OVCAG in 2003.